Our LARP Serpent Dagger is from our Ready for Battle line. The Ready for Battle line is a less expensive line that is still durable and made of quality foam, but is not as detailed as our other lines making them very affordable and great for beginners or those on a small budget. 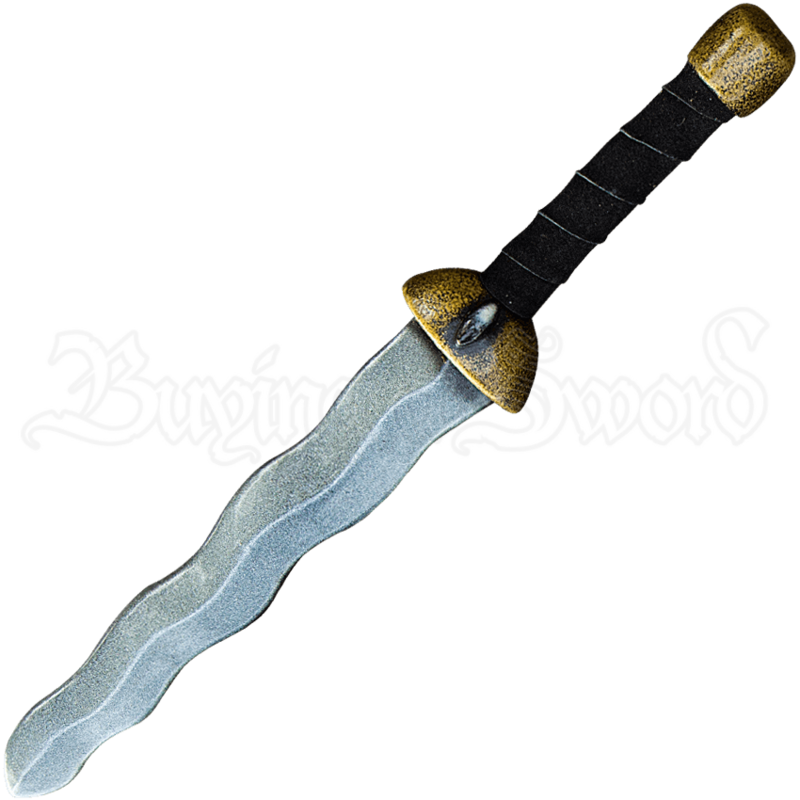 This dagger features a classic fantasy design, featuring a curved blade, also known as flamberge style. With the simple design, it can be used for just about any character or theme. The dagger is approximately 18 in overall length. This measurement will vary as they are handmade items.